We are a local Maryland owned and operated, high quality, ground-based airport shuttle service. We run frequent daily trips from our six convenient pick-up and drop-off locations on the eastern shore of Maryland and six pick-up and drop-off locations west of Baltimore in western Maryland to Baltimore/Washington International Airport (BWI), BWI Train Station and Baltimore’s Greyhound Bus Terminal. We also offer intercity services between all pick-up & drop-off locations. Our mission is to make your journey a pleasant, reliable, safe, and productive experience. Our ownership and employees are committed to these goals and will do everything possible to ensure your satisfaction throughout your stay with us. Let’s face it, getting to BWI can be a hassle when you drive yourself. Between the drive itself, finding parking when you get there, riding the parking shuttle, and then reversing the process when you get back, its something you don’t enjoy. The costs of parking, tolls, and gas can add another expense to your travel plans. Our service is geared to take the hassle out of connecting and reduce your travel expenses. Frequent daily departures make it easy to connect at BWI with minimum layover time. You plan your trip using our automated reservation system to suit your schedule. When you add up the costs associated with driving your personal vehicle, our competitive one way and round trip fares, make BayRunner Shuttle an easy choice. We take you to BWI, BWI Amtrak, or Baltimore Greyhound Terminal in some of the finest, safest, and spacious vehicles manufactured today. 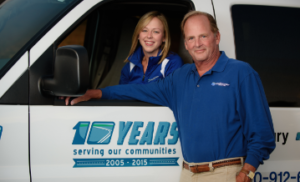 Our fleet includes Chevrolet G3500 fourteen passenger van, Chevrolet Suburban, and new Ford Transit vans. Many of pick-up and drop off locations offer free parking for you to leave your car during your travels. So instead of racking up those $10 per day parking fees at BWI, you can rest easy knowing your car is safely waiting for you on return. Please visit your pick-up location page for information about parking. From the time you book your reservation with us, be assured that we will be striving to make your experience with us a positive one. Our drivers will be in phone contact with our dispatch office, so we can track your inbound arrival flights, make other reservations if necessary, or even find you in the airport when you arrive (We’ll have your cell phone number on your reservation). If you need a cab when you get to Salisbury, we’ll be happy to call ahead to have one meet you. Our commitment to excellence is real, and we want you to come back and use our service often and tell your friends and business associates about us.